The Farmer’s Almanac predicts June 16 as “warm”. A perfect day for the Garden Tour and Market. Ticket holders on this self-guided tour will have a chance to wander through six Lake Forest Park gardens. One is an eclectic northwest native garden, another features hardscapes and landscapes, one has created a place for birds and bees and another has landscaped solutions to a major water issue. Walking throughout the gardens ticket holders can take photographs, ask master gardeners questions and soak in the pleasures of gardening. 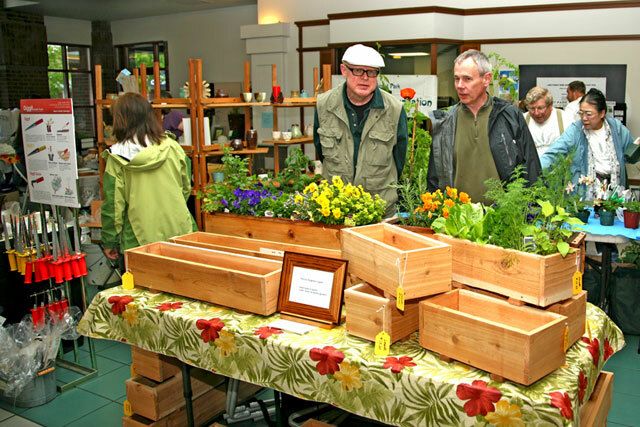 The Garden Market in the lower level of the Town Center will be filled to overflowing with local nurseries and local garden artists. Take an opportunity to browse and purchase something for your garden. Purchase advance Tour tickets at Town Center Hardware, Wildbirds Unlimited and the Lake Forest Park Farmers Market in the Town Center or online at LFPGardentour.com.